This article completes our review of top 100 most popular herbal remedies providing an array of health benefits without side effects associated with synthetic prescription medications. 1. Marjoram is effective in reliving pains and aches associated with common colds and flu, lowers libido in individuals suffering from obsessive sexual behaviors, fights bacteria and viruses both internally and externally. It boosts sluggish digestion and provides relief for water retention (swelling). 2. Almonds are boasting a high content of fiber, monounsaturated fats and ample doses of vitamin E necessary for healthy heart and immune system. High levels of potassium and magnesium help body absorb more calcium from food. 3. Walnuts shaped like miniature replicas of a human’s brain provide just the protection we need for healthy brain function. Its high vitamin E content is especially helpful to ward off heart disease, achieve healthy skin and shiny hair. 4. Reishi Mushrooms have been priced by Eastern medicine and often called the medicine of kings. Indeed, these mushrooms are strong immunity boosters helping our bodies fight heart disease, AIDS and even cancer according to Japanese doctors. 5. Shiitake Mushrooms are not only superb herbal remedies for weak immunity but one of the most bioavailable sources of iron, vitamins B and a variety of minerals. 6. Garlic needs no introduction. Everyone knows this pungent superhero among medicinal plants that fights just about any malady. Its antimicrobial, antiviral and antifungal properties provide relief from annoying colds, ear infections, bronchitis and recurring infections. It helps fight bad cholesterol, protects against heart disease and is an excellent immunity booster. 7. Orange is among top medicinal fruits for supplying our diets with mega doses of vitamin C necessary for top notch immune system. But it’s the herperidine element that has been recently singled out from this fruit an essential ingredient able to lower blood pressure and have strong anti-inflammatory effects. 8. Avocado, sometimes called Alligator Pear, is a shining star among medicinal veggies supplying our bodies with potent doses of carotenoids, phytosterols or simply vegetable fats that help fight cholesterol plaques. 9. Pineapple owes its incredible health benefits to high doses of digestive enzyme bromelalain that helps reduce inflammatory factors and additionally contributes to weight loss over time. It additionally protects against certain systemic diseases and has anti aging properties. 10. Banana is among the most popular herbal remedies for digestive disorders. Its mild taste and creamy consistency is perfect for anybody from infants to elderly individuals supplying bodies with fiber and potassium. 11. Apples are chockfull of nutrients, fiber and a vast array of healthful properties. Digestive enzymes, iron, anti-inflammatory ingredients are just a short list of their benefits. 12. Cat’s Claw or Una de Gato has been widely used in South America to provide relief for a ton of medical conditions ranging from digestive disorders to inflammatory conditions of the joints, gut and other organs. 13. Oolong Tea contains a cornucopia of beneficial nutrients ranging from strong antioxidants, vitamins and minerals. Drink this tea to shed a few pounds, provide stress relief and supply body with priceless ingredients. 14. Dill will help no matter if you have diarrhea, heartburn, bad breath, annoying cold symptoms and even cancer. 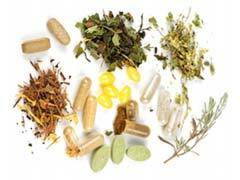 The most common form of consuming this herbal medicine is tea that can even soothe infants’ colic. 15. Corn Silk is god sent for urinary tract system that has strong diuretic and soothing qualities for bladder, kidneys and even your gut. 16. Basil is one of the strongest antioxidants among medicinal plants, a potent antiviral and antibacterial helper. 17. White Oak Bark contains ample levels of tannins, vitamins and minerals and is especially helpful for soothing stomach ailments, skin irritations and is a strong vasoconstrictor. 18. Hops are some of the most ancient medicinal plants used to provide calming effect, fight infections and skin injuries. 19. Black Currant mostly known as a berry cultivated in European countries and is boasting an endless list of health properties from cardiovascular health, healthy immune system and high antioxidant protection. 20. Onion is chockfull of polyphenols and flavonoids, sulfur and other beneficial nutrients providing protection against cancerous cells growth. Stronger teeth and bones are just a few other beneficial qualities of this super veggie. 21. Jasmine is among the most popular in Eastern countries medicinal plants with multiple uses. From livening up your spirits, to enhancing sexual libido and attraction, to muscle relaxing and antidepressant properties, this mighty herb keeps working. 22. Lemongrass sweet smelling medicinal plant is an incredible mood booster, pain reliever, fever reducer and antimicrobial agent. In Asian countries this herb is widely used to improve the quality of mothers’ milk and relieve gas in babies. 23. Licorice, widely known in alternative medicine, provides relief for a number of systemic autoimmune diseases, chronic hepatitis and certain ulcers. 24. Rose Hips herbal remedies are widely known for their high levels of vitamin C, however, not everyone knows that these medicinal plants contain ample amounts of lycopene, a potent antioxidant. 25. Senna is synonymous with constipation relief and its additional benefits include removal of toxins from the digestive tract. Avoid this herbal compound if you have a serious health condition or take prescription medication that might counteract with it.